The Danish national election is in full swing. Campaigning is ceaseless. I'm constantly trying out new wisecracks when someone tries to pawn off an election brochure on me as I go about my business in the city. I'm running out of wisecracks. However, it is brilliant to see campaigning done by bicycle. 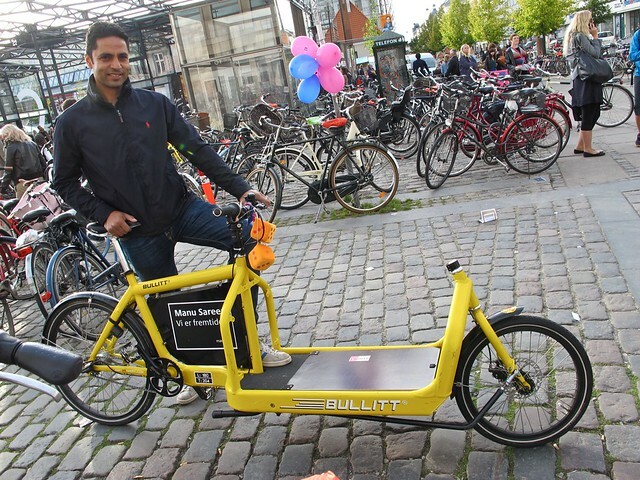 Sandra, over at my favourite blog Classic Copenhagen, spotted this politician - Manu Sareen - out and about on his Bullitt cargo bike, complete with personalised panel. "We are the future", it says. Sareen is a member of the Radikale Venstre - Radical Left, translated directly. 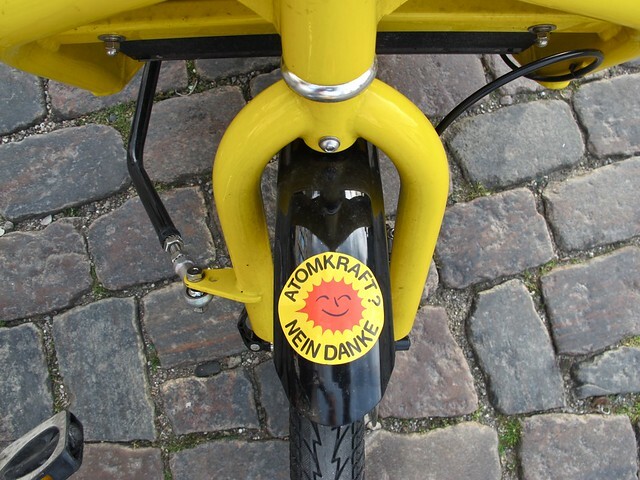 On the fender is the classic 70's sticker - in German for reasons unknown - against nuclear power. The sticker is enjoying a revival these days. Regarding the election, don't worry yourselves about it, dear readers abroad. Your average Danish politician will have about as much influence on your life - or the course of world affairs - as the manager of a Chinese toy factory. But hey. Their bicycles are nice. Almost forgot, here's another photo of a politician campaigning among cyclists earlier this year.